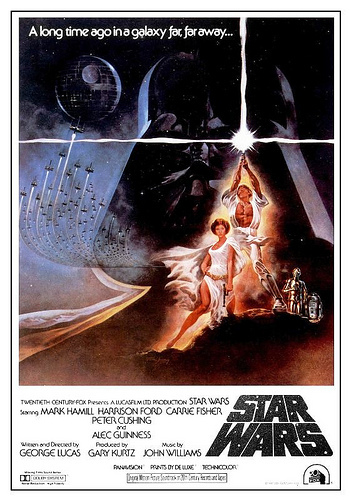 Synopsis: The chronicle of three heroes who aid the Rebel Alliance as they combat the evil Galactic Empire. James Earl Jones specifically requested not to be credited for providing the iconic voice of Darth Vader, because at the time he was still an up-and-coming actor and did not want to be typecast. George Lucas was so taken with Frank Oz’s performance as Yoda that he spent thousands on an advertising campaign to get him an Oscar nomination for Best Supporting Actor. But the campaign failed as the Academy felt that a puppeteer wasn’t an actor. Lucas felt this was unfair to Oz. It took six people to operate the life-sized animatronic of Jabba the Hutt. A New Hope: OBI-WAN KENOBI: You’ll never find a more wretched hive of scum and villainy. 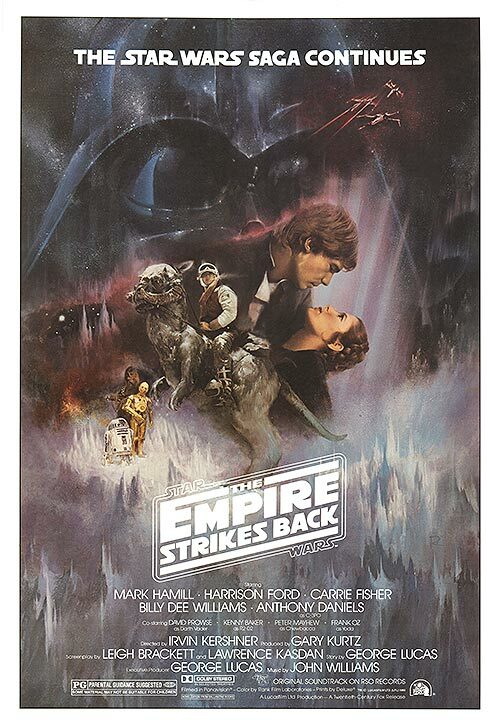 The Empire Strikes Back: LUKE: I don’t believe it. Return of the Jedi: EMPEROR: And now, young Skywalker… you will die. I was about 5 the very first time I ever watched the Star Wars trilogy. 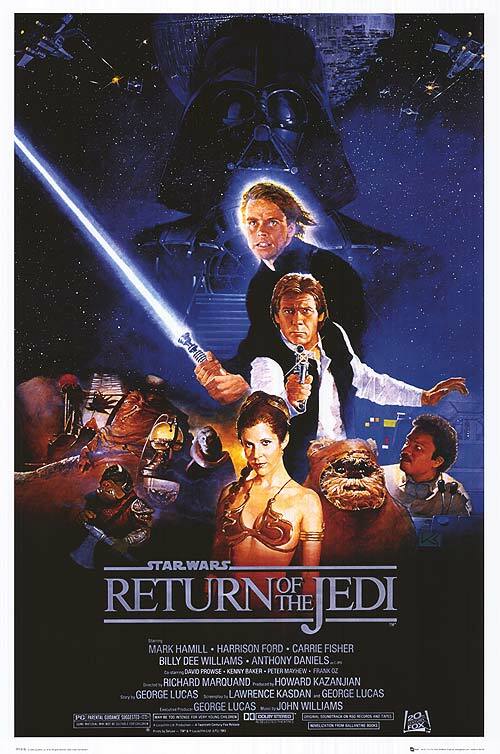 This was eleven years following the release of Return of the Jedi. I’ve watched these movies countless times, but I had never had the chance to see the original trilogy on the big screen until today. It was such a surreal and amazing experience. It would have been better had the theatre showed the original theatrical versions of the film instead of the pointlessly remastered ones. Nevertheless, it was still a once-in-a-lifetime experience to marathon all seven episodes. Out of the original trilogy, Return of the Jedi is my favourite, mostly because of the Emperor in all of his evil glory.